Amazon’s brought put a screen on an Echo device in June last year, with the Echo Show (though it took a few months longer to reach the UK). Now, more than half a year later, Google has finally caught up, partnering with third-party manufacturers to build its own Echo Show rivals powered by Google Assistant. LG, JBL, and other manufacturers are all working on Google Assistant devices with displays, but the most impressive so far is the Lenovo Smart Display. We went hands-on with the new device at CES 2018, and here’s what we thought. The Lenovo Smart Display doesn’t have a firm release date yet, but it’s expected to arrive – in the US at least – in “early summer”. We’re not sure yet if other markets will get it at the same time, but we’ll update this when the release date is more definite. As for pricing, the Smart Display will cost $199.99 or $249.99, depending on whether you opt for the 8in or 10in model. Again, we don’t have specific UK pricing just yet, but will update this when we do. Either way, the pricing is in line with the Echo Show, which Amazon sells for £199.99/$229.99. At first glance, the Lenovo Smart Display looks a lot like a tablet with an oversized speaker grille at one end – either the left-hand side or the bottom, depending on which orientation you choose. From the back though, there’s an angular wedge shape to the base to help keep it upright. As we said above, the Smart Display comes in two different sizes of display: 8in or 10in. There are a few other differences between the two models though – the most obvious being the finish. 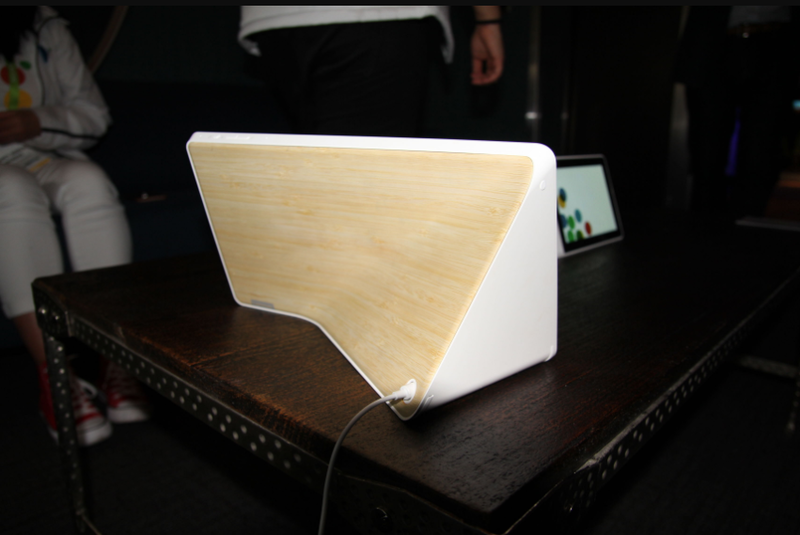 While both models are white on the front, the 8in comes with a muted grey on the rear while the larger device comes with a bamboo finish instead. Both look attractive enough, but since they’re on the rear of the device it’s easy to imagine that many users will never even see the colour of the rear – so we’d encourage picking your model based on the screen and price, not the finish. As for buttons, both devices keep it simple. Beyond the touchscreen, camera, and microphone, the only inputs are volume buttons and separate mute controls for the microphone and camera. The latter is particularly interesting – the button physically blocks the camera shutter, so the privacy-conscious can guarantee that the camera can’t be hacked to record them. Both devices use IPS displays, though the resolution differs significantly between the two. The 10in display runs at 1920×1200, while the smaller screen is just 1280×800, so anyone worried about crisp video calls or HD video should make sure they spring for the $50 extra for the larger screen, which looked bright and colourful during our hands-on time. Naturally, everything works neatly through your Google account, pulling through contacts from your phone and video recommendations from your YouTube account. Video calling is handled by Duo, which means it should be fairly easy to reach people – most Android phones come with it pre-installed, though you may have to persuade iPhone owning friends and family to visit the App Store first. YouTube support is also handled intuitively, recognising contextual prompts to help you out – in our demo, asking Google how to prepare the rosemary in a recipe it was reading out prompted it to automatically pull up a relevant YouTube tutorial. It’s worth noting that despite appearances, this isn’t tablet, and it isn’t running Android. 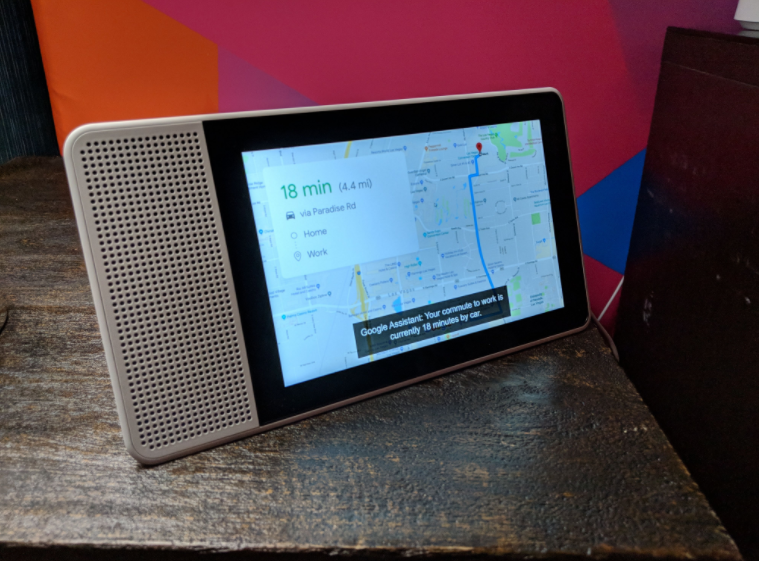 While the display is a touchscreen, the Smart Display is really built around voice commands, and will live or die by how well the Google Assistant handles a variety of requests – something we’ll test more fully when we give it a full review. What we have seen is impressive though. This is a much more attractive device than the Echo Show (or the other Google Assistant equivalents announced at CES 2018), and boasts similar functionality. The user experience seems smooth, with great integration of the display and video options, and Google Assistant remains the virtual assistant to beat. SHOULD I BUY LENOVO SMART DISPLAY? Ultimately, as with most smart home hubs, much of the choice right now depends on whether you’d rather be part of Amazon’s Echo family or the Google ecosystem. 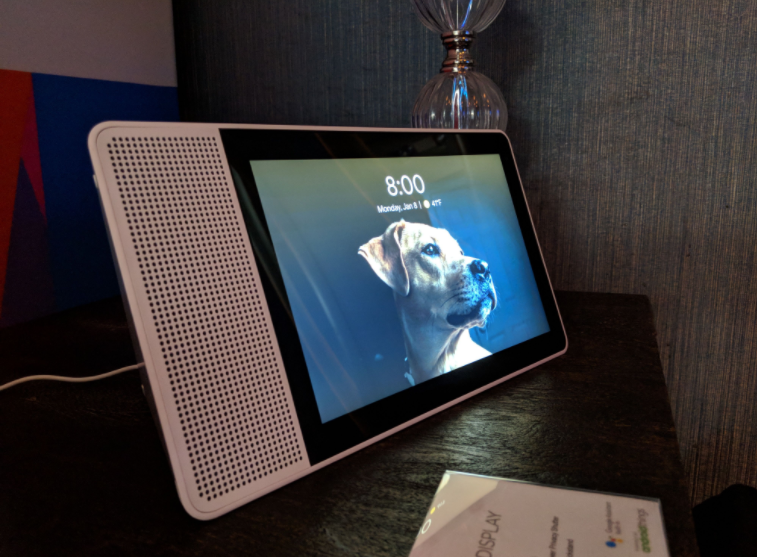 But if you want to go Google, the Lenovo Smart Display looks like a great choice, making a solid case that a smart speaker might just be better with a screen.